This debut album has a slew of great tracks. The Auteurs, unlike Oasis and Blur, find themselves amongst a number of other Britpop bands that never made a [big] name for themselves in the US: namely Suede, Pulp and Denim. (I feel like I need to start a Britpop band named “Flannel”…who’s with me?) 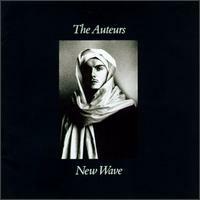 The Auteurs’ sound, aforementioned as Britpop, cannot really be pigeonholed into any one genre; there are also elements of Alternative Rock, 60’s pop/rock and glam which give the band a unique sound. The songwriting, which is credited entirely to lead man Luke Haines, echoes warm George Harrison riffs and Radiohead’s The Bends era alt rock sensibility. It is impeccably balanced with Haines’ wry, witty lyricism. The opener, “Show Girl,” is an absolute corker. It has been one of my highest played tracks for the past couple of years and is actually the song that scored the band their first record deal. “She can’t work in the wintertime / I can’t work anytime now.” I hear ya, Luke. “Junk Shop Clothes” plays like a somber wedding march. Apparently, junk shop clothes will get you nowhere and make you drunk for the rest of your life—I’ll still shop at Salvation Army drunk and hate myself while doing it. Great song. The album has a solid core comprised of the darkly funny tale of a down-and-out child actor in “Starstruck,” the gorgeously orchestrated “How Could I Be Wrong?” and the playful percussive piano of “Housebreaker.” If I have one complaint, it’s the twilight boredom of “Early Years” and the first half of “Home Again.” I always hate when bands have hidden tracks or more than 30 seconds of senseless silence. The end of “Home Again” is actually quite fun; I wish I could just hit skip to get to 3:55. This album has an incredible, start-to-finish listenability. I never tire of hearing any of the singles. And the worst tracks on the album are not bad by any means…they’re just not as good their neighbors.